Once again, Swype has opened their otherwise “exclusive” doors and for a short window you can pick up your copy of the Android software touch-slide-keyboard. If you haven’t tried Swype, you should. It is quite possibly the greatest thing to come to mobile phones since Android itself. Sure, there are some wannabe clones in the market, but right now you can get the real deal, so don’t procrastinate. Important: If you are on a Samsung Epic 4G or any other phone that came Swype already preinstalled do not install this beta! 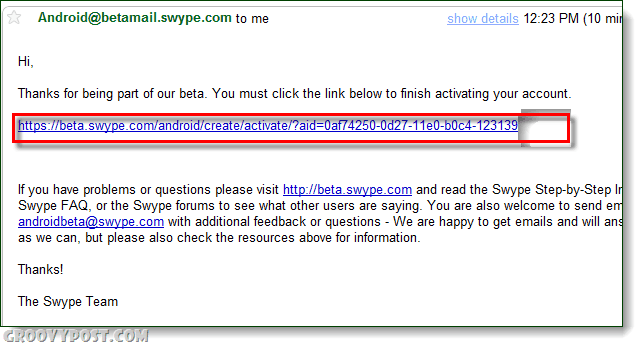 How Do I Download Swype Beta? Visit http://beta.swype.com/. If you are new to swype.com Click the Register button, otherwise just login. Fill in the registration page. 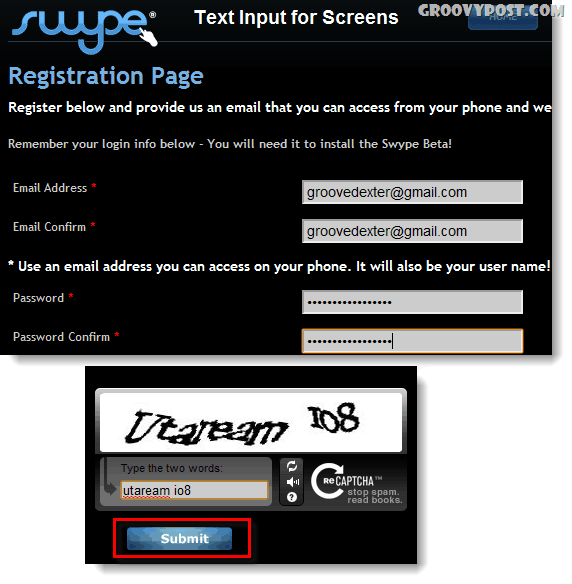 Be sure to use a valid email address, your Swype download link will be sent to the email you register with. Check your email and click the verification link, then login. Now on your Android phone, make sure you allow applications from unknown sources. Visit https://beta.swype.com/android/get/, login, then Download the APK file and open it. From this point just follow the installer instructions, or you can check out Swype’s step-by-step installation guide. Enjoy Swyping! And if you are new to Swype, I highly suggest doing the tutorial as that will greatly help minimize frustration while you grow accustomed to it. For revision history and the official announcement see this page. Do you use Swype? Let us know about your favorite Android keyboard in the comments below!